As a 100% plant-based, plastic-free & mostly gluten-free café, restaurant and bar, Erpingham House is passionate about sharing healthy, delicious food & drinks, that are as good for the planet as they taste. 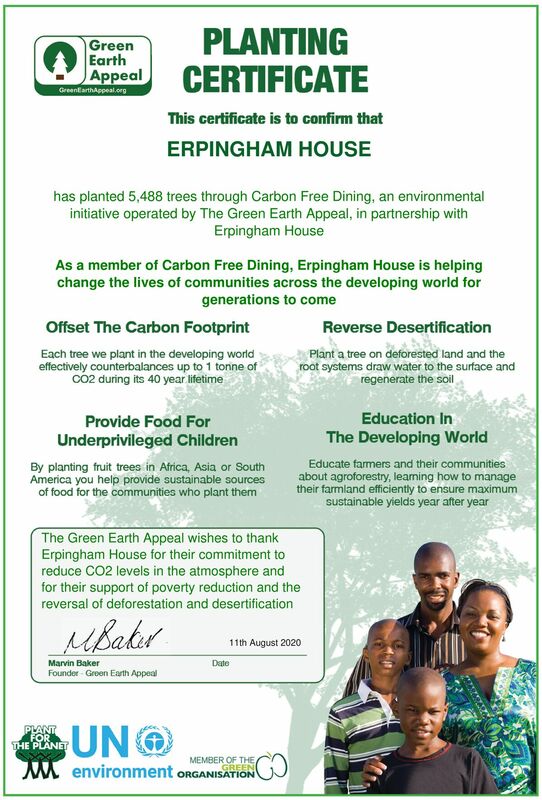 They believe in evolution through revolution, they are for everyone and the world, and that’s why Erpingham House has teamed up with Carbon Free Dining, the United Nations Environment endorsed restaurant initiative. For every food bill presented at Erpingham House, diners are empowered to plant a life-transforming fruit tree in the developing world. Each tree counterbalances the Carbon Footprint and Food Waste of the meals on the bill. Not only that, but the trees provide some of the world’s poorest communities with a sustainable way of life, for generations to come.